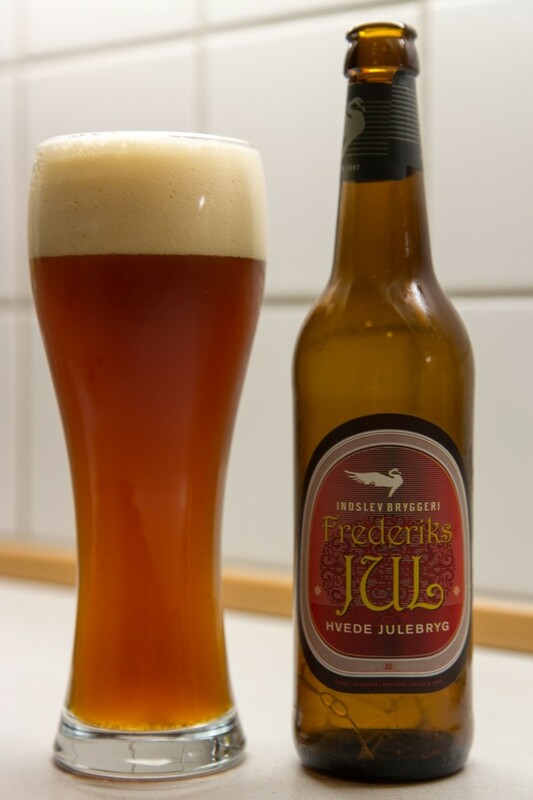 I bought this beer in a the super market Brugsen in Odense, Denmark at the price of 3 Euro for a 500ml bottle at 6,5%. Red with brown tones in this unfiltered beer with a good look to it. Large and rough head with a lid of fine bubbles. Weak fruit and a dominating bitter flowery scent from the hops. Okay CO2, bitter fruit, some darkness, a hard flowery taste with even more bitterness in the end. A little too bitter for me with a sweet taste to play in. The label promised darkness and notes of tropical fruits, I do not think they made it all the way to the goal.